My first attempt AT head came out very nicely. 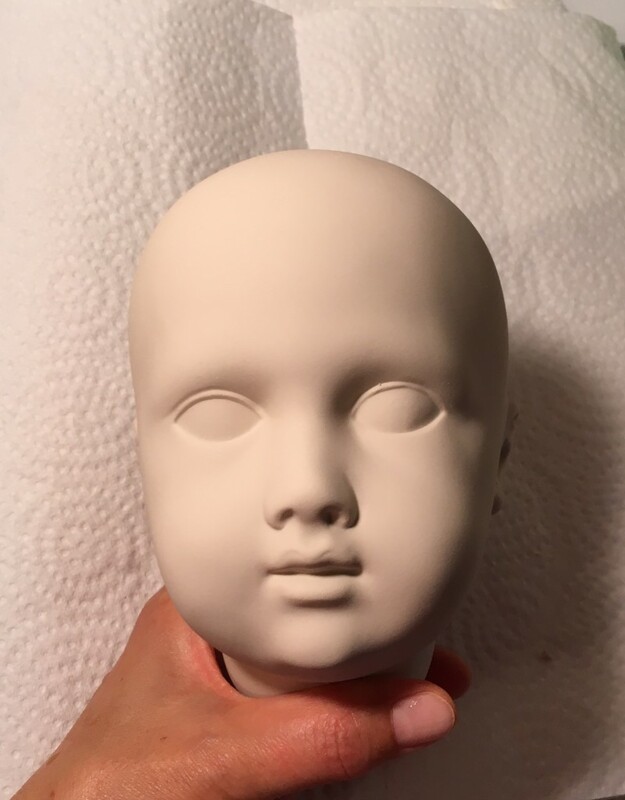 I think I am going to use this head to make complete doll. 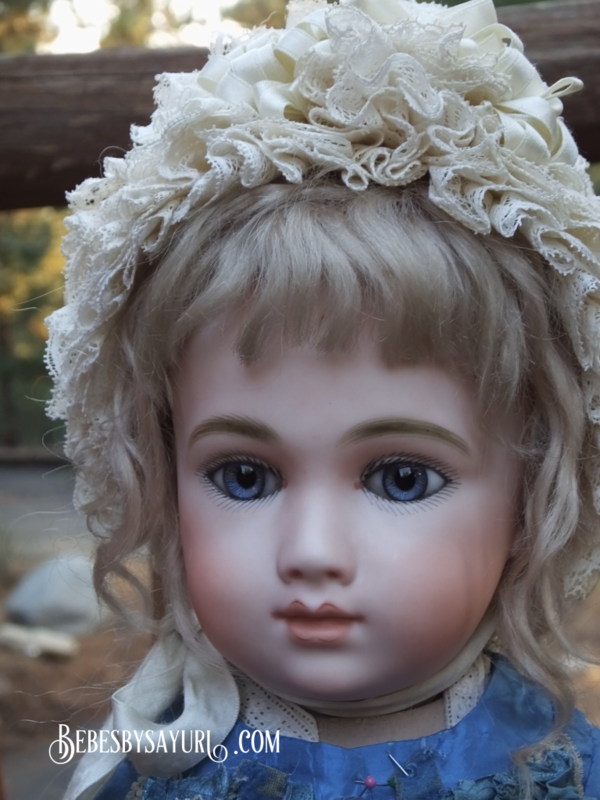 I painted her skin with more pinker color just like antique AT doll and set antique blue glass eyes. This mold has very nice facial expressions and I just love it! AT 嬢のヘッドが出来上がりました。一回目の挑戦でなかなかいい子が出来たので、このままこのヘッドで完成品を作ろうと思います。肌色はいつもよりちょっと濃いめのピンクトーンにして、アンティークのブルーアイをセットしたら、とてもい感じになりました。やはりアンティークアイの効果は素晴らしいです。この子のために、ずっと取っておいた張り出しのある極上のアンティークアイを使いました。それと、このモールドはすごくいい表情のATが出来上がるので、お気に入りです。 I attempted to set larger iris antique eyes at first ( on bottom right photo) but with her paler skin color, her facial expression seem lifeless. 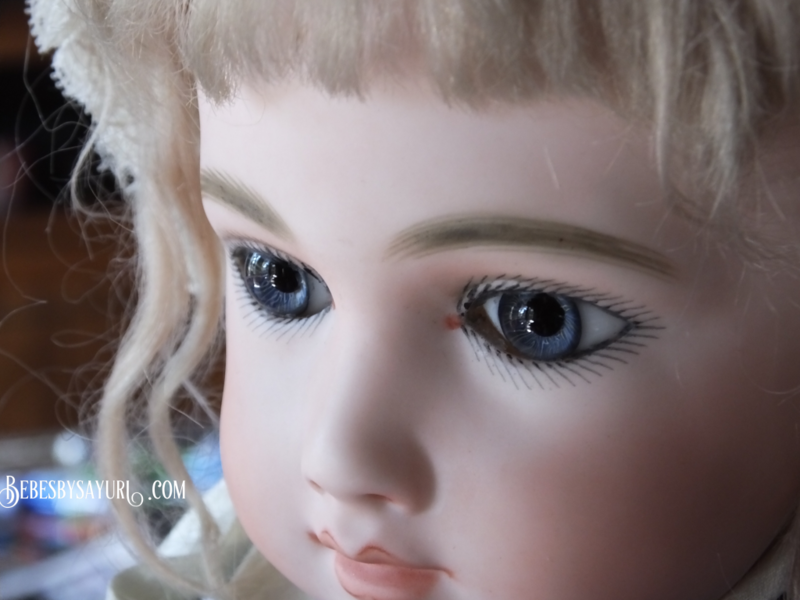 So I painted over another layer of skin color to make it look pinker and set smaller iris antique eyes. She seem much more lively and look even adorable. You can make big differences in final look by adjusting small details. I am very happy with the result ! 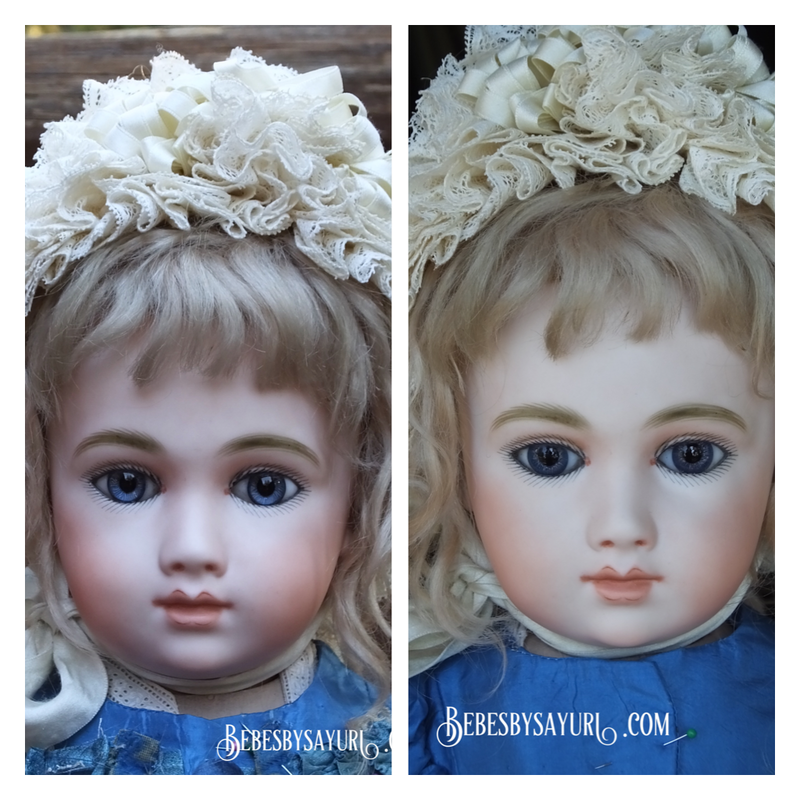 Closer look of high crystal dome antique eyes. 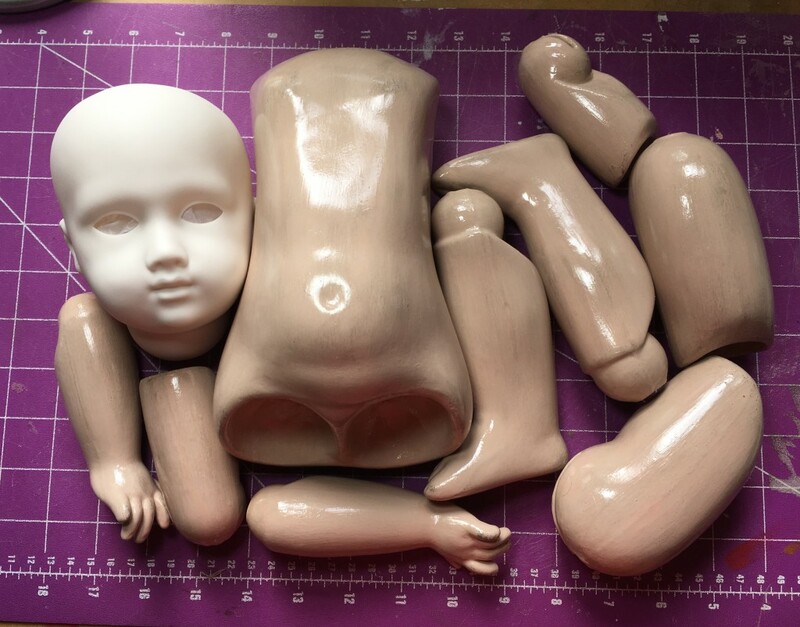 AT doll’s head is ready to be painted and body is ready to be strung. 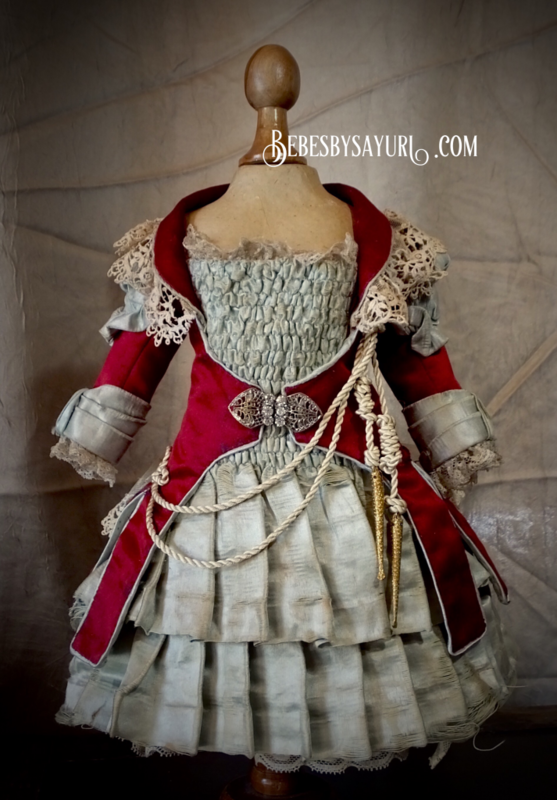 I made French body with straight wrist by using paper-mache’ composition slip. This body is much lighter than the body made from clay based composition slip. I painted the body with antique finish to remove that brand new look. 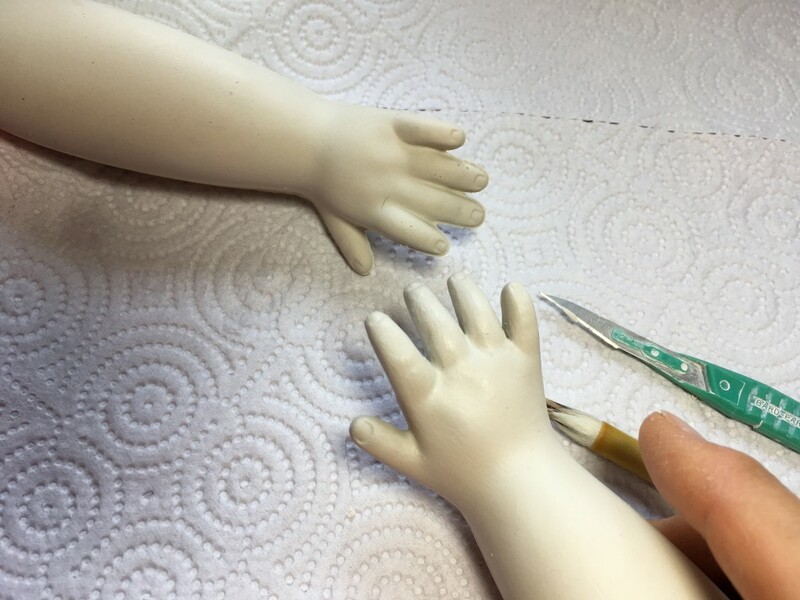 Cutting wider space between fingers to separate them just like antique body. 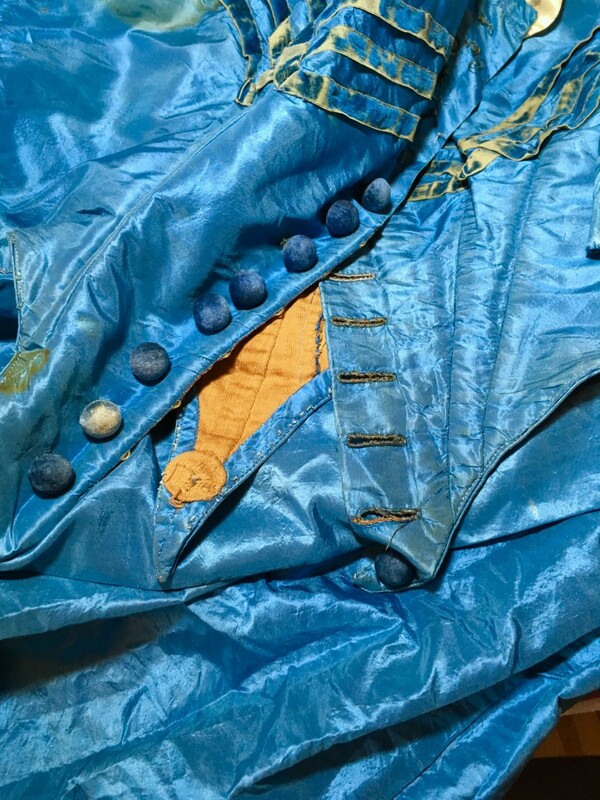 I am going to use this blue antique silk taffeta from civil war era gown to make the dress for my AT doll. 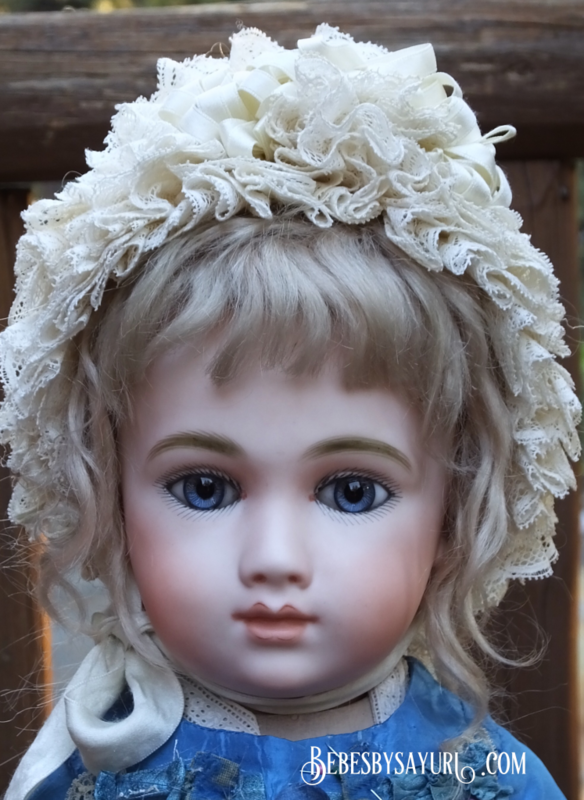 I am planing to set antique blue eyes for this head and this true blue color should make her eyes even more stand out ! 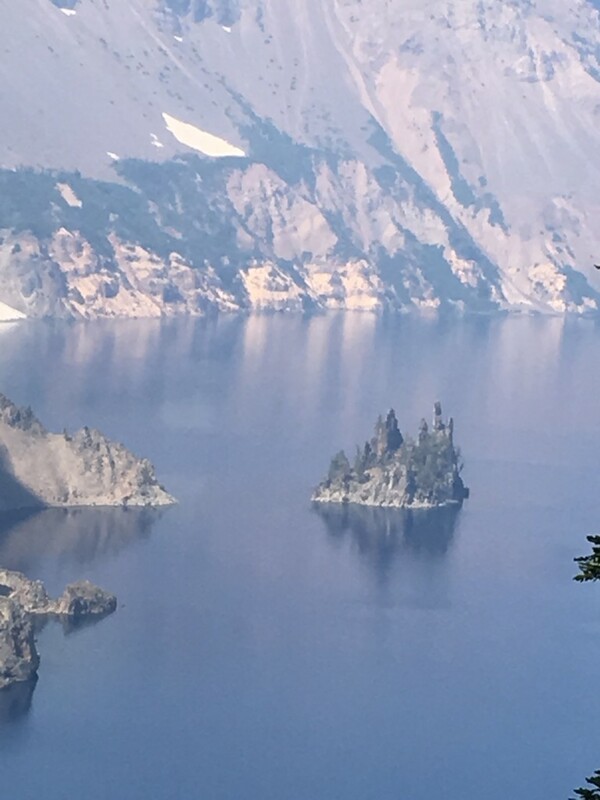 I went to see Total Eclipse in Oregon about 10 days ago. 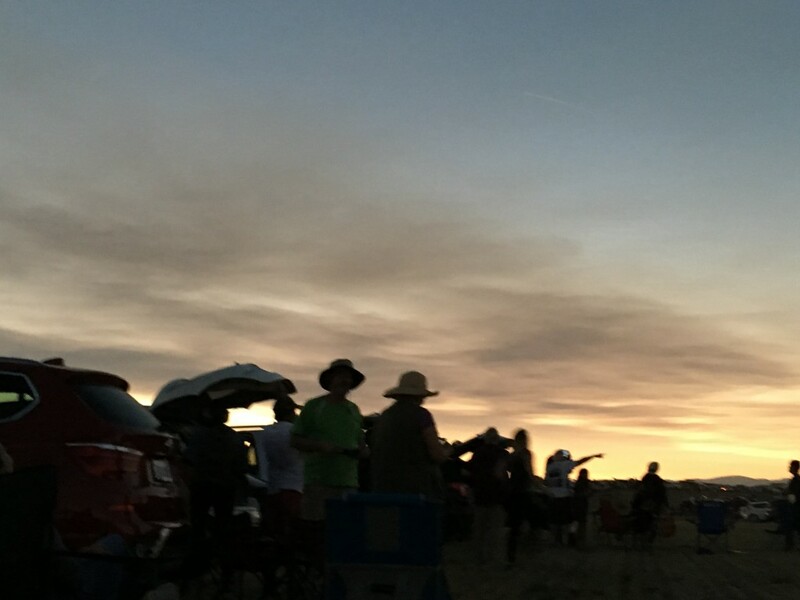 Weather was perfect and we had clear view of totality this time. ( It was cloudy when we went to Shanghai in 2009) It was such an amazing experience. I hope many of you were able to enjoy this rare occasion. It turned this dark during totality at 10:20 AM. We could see black sun in the sky. Very strange feeling. 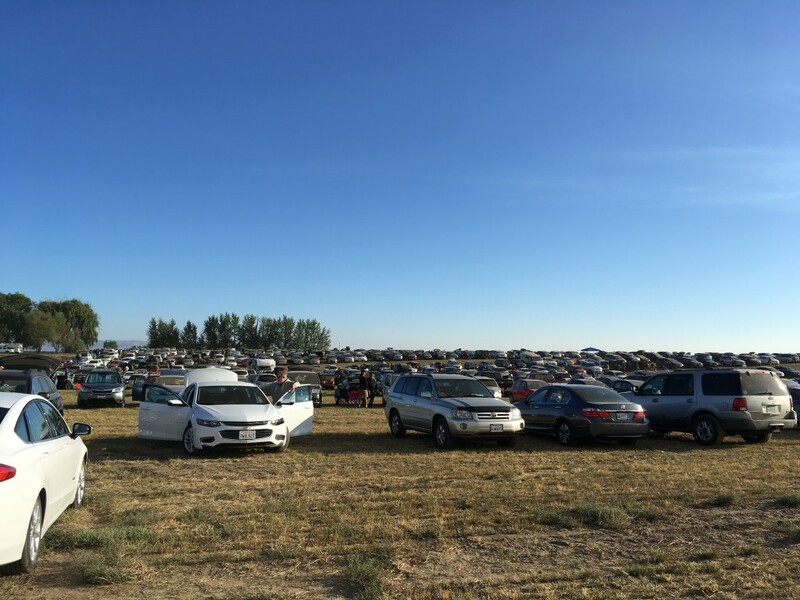 Huge field was packed with thousands of cars. Yes, going back traffic was horrible. 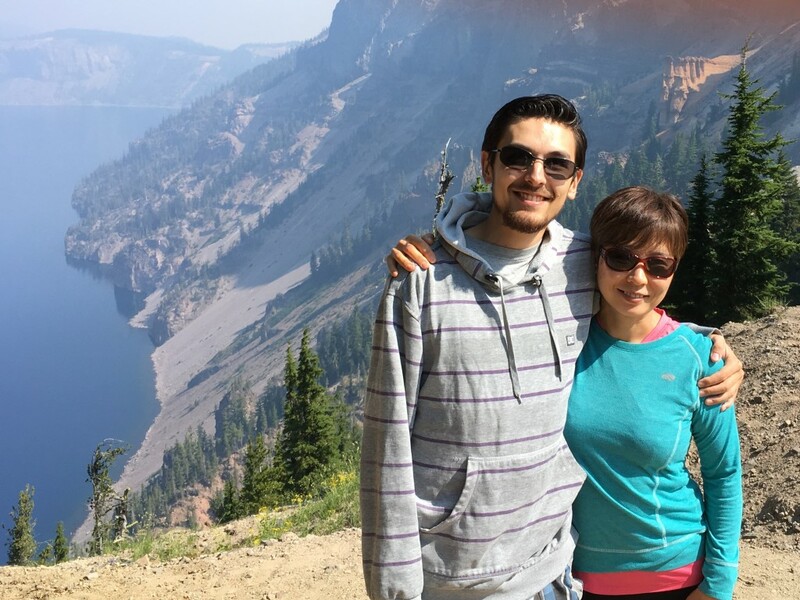 We stopped by at Crater Lake for hiking. 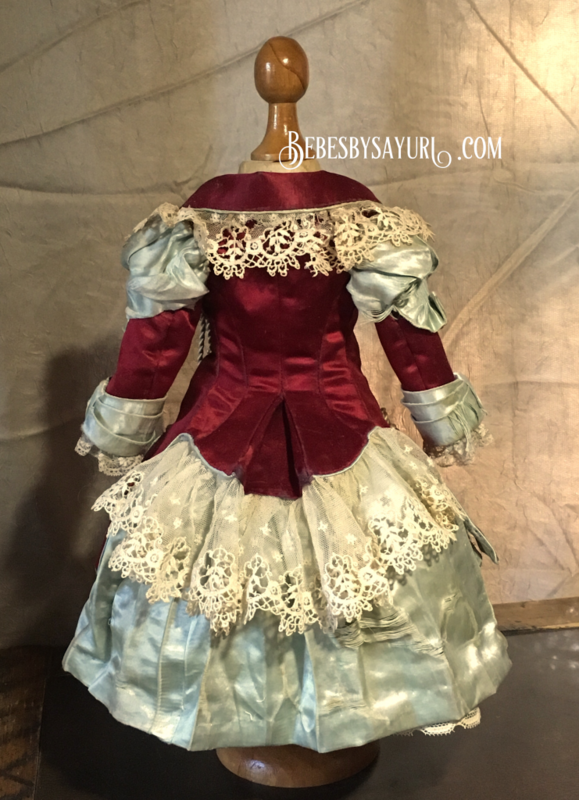 Here are photos of the Bru dress I made. I poured 20 inch AT head today. 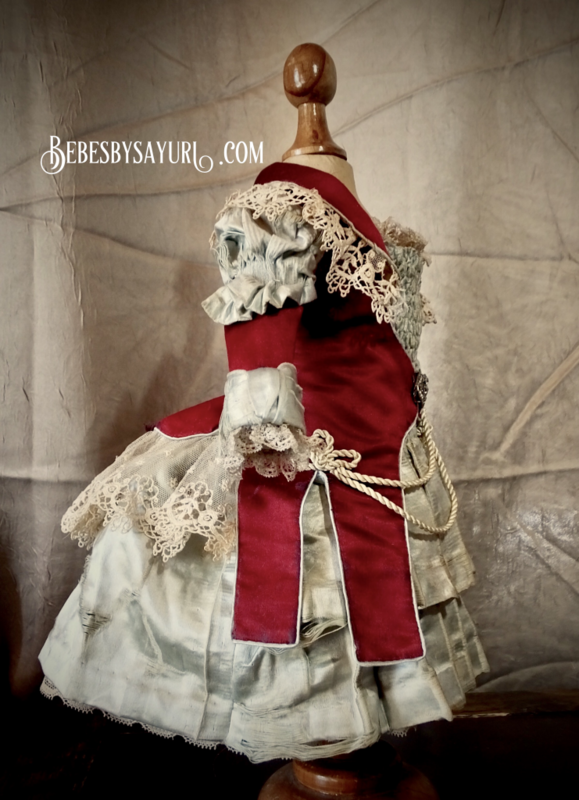 This mold is one of my favorites!